Sample Lab is a full-featured sampler/sequencer made exclusively for iPad. With a professional set of features packed into a simple, multi-touch interface you can skip the learning curve and start making tracks within minutes. • Record your own samples, or import wav & mp3 files using iTunes. • Professional quality pitch-shifting preserves sample length and formants while giving you 2 full octaves from any sample; without chipmunking. Lock a sample to a tempo and change track tempo to time stretch/compress. • Pinch-zoom precision sample editor lets you select your audio and drag it right onto a track. • 8 stereo tracks @ 44.1kHz with per-beat volume, pan and pitch control. • Per-beat cue and loop points allowing for unique new sounds and more flexibility composing. • Copy/Pasteboard support for sharing audio with other apps. • Mixdown to WAV & upload to SoundCloud. • Audio Multitasking: Sample Lab will continue to play audio after you switch apps. • Multi-touch trigger pads for tapping in patterns or stand alone performance. • 4 real-time DSP FX: distortion, bit crusher, resonant cutoff, and reverb. • Multi-touch sequencer lets you build a composition with ease. • Virtual MIDI support lets you control other audio apps from Sample Lab. • Shuffle control for simple syncopation. • More than 100 samples included to get you started. 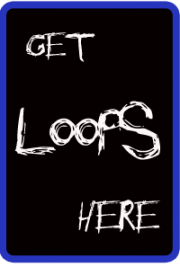 • Punch-in loopbox style recording on each track allowing for recording layers of loops live. • MIDI Clock-sync output and Virtual MIDI output with per-track channel control. Send notes and clock signals to other supporting apps while multitasking. • MIDI input support: trigger samples and record beats with a MIDI controller to get variable velocity and lower latency. • Use MIDI to punch-in/out for pedalboard hands-free looping. • Plug & play support for Akai LPD8 and Behringer FCB1010. …all without stopping the music.